As a sign of affection, kissing has been around longer than St. Valentine himself. But did you know that kissing originated from the ancient practice of getting acquainted with other humans by sniffing each other? From the “Kiss Me” messages on tiny candy hearts to romantic songs on the radio, a kiss is probably on your list this Valentine’s Day. Does your breath smell kissably fresh? The occasional garlicky meal aside, the number one cause of chronic bad breath is oral plaque, which can build up on your teeth, gums, and even your tongue. Be thorough about plaque removal Brush your teeth and gums thoroughly at least twice a day and floss at least once. And check your tongue everyday for whitish residue, which is likely due to accumulated plaque and food debris. Brushing or scraping your tongue can often clear up nagging bad breath. Banish dry mouth Nobody wants to kiss a parched mouth. Drinking eight glasses of water a day and chewing sugarless gum between meals keeps saliva flowing, which also helps wash away stinky plaque and food particles. Get regular dental cleanings Plaque has a tendency to harden into calculus (also called tartar) that can’t be removed with brushing and flossing. Professional cleanings eliminate this buildup, so it’s important to get one at least once every six months, along with your checkup. Your dentist can help keep you healthy, discuss any concerns and give more advice on keeping your smile fresh. If you’re overdue for a cleaning, want to explore your options for a brighter, healthier smile or are interested in purchasing a whitening procedure as a Valentine's Day gift, call us at (604) 579-0117 or book your appointment here. We are happy to announce that Just Smiles turns 6 years old! We have enjoyed serving our patients and are so appreciative of all the wonderful relationships we have established. We thank all of you for the support and trust, as we continue to grow and serve this community. Over the last 6 years, there have been many changes and advancements in dentistry. At Just Smiles, we thrive to utilize the latest technologies to make dentistry more comfortable, durable, efficient and natural-looking for our patients. And our efforts are recognized and for the 2nd straight year awarded by OpenCare, who has selected JustSmiles as 2016 Top 10 Dental Clinic in Surrey, based on metrics such as patient care, comfort and satisfaction. In this newsletter, we will celebrate our 6 year milestone by a series of events and announcements! First, Dr. Claire Wang has returned to the office after her mat leave! Dr. Wang's days are Mondays, Wednesdays, Thursdays and one Saturday a month. We would also like to welcome Dr. Junho Kim to our dental team! He is in the office on Tuesdays, Fridays and one Saturday a month. As part of our summer promo, be sure to enter your name at the end of your hygiene appointment for a chance to win a FREE In-Office Zoom Laser Whitening! In addition, due to a popular demand, we have extended our Invisalign promotions till the end of August. If you have ever thought about straightening your teeth, and would like to know if Invialign is right for you, book your complimentary consultation today! (Click here to book your appointment). Another exciting event is that we have introduced a Cavity Free Club for our young patients! When you have a moment, be sure to check out our new 3D virtual tour of the clinic on our website, as well as the services provided, gallery and patient testimonials. Read on to learn more about our summer promos and some oral hygiene tips! Have a great month everyone! Dr. Kim was born in South Korea and moved to Canada at the age of 11 with his family. After attending Dalhousie University for three years studying biology, Dr. Kim received an early acceptance and proceeded to complete the dentistry program at University of Western Ontario. Dr. Kim is a skillful general dentist and provides a wide variety of dental treatments for patients of all ages. He is easy-going and likes to keep the dental office a fun and friendly environment. He comes from a family of dentists (father and sister) and understands the importance of treating each patient as if they were his family. In his free time, Dr. Kim enjoys outdoor activities and sports including tennis and badminton. Besides English, Dr. Kim also speaks Korean. We are excited to introduce a Cavity Free Club! We are very proud of our cavity-free kids, and we believe being cavity-free is an accomplishment that deserves recognition! It serves as a reward system to help our young patients (age 3-13) develop and maintain good oral hygiene habits. If your child has a cavity-free check up, he or she can become a member of the club! When they become a member of the Cavity Free Club, they will receive a certificate, have a photo taken, and be entered into a draw to receive monthly prizes! So don't forget...motivate them to try their very hardest to stay cavity-free until their next dentist visit! And if they have a sugar bug or two, don't fret - once all their cavities have been addressed, they too can become a member of our club! Here are some tips on how to prevent tooth decay! Visit your dentist regularly, and if you are prone to cavities, ask about dentalsealants and other preventative treatments. Make sure your children attend their regular check-ups every 6 months to keep their teeth and gums healthy. Regular appointments allow for a cleaning, polish and fluoride application, as well as provide an opportunity to review their brushing and flossing technique. It also allows us to monitor their dental development by checking for cavities, how the teeth are developing and if there is a need for braces. By keeping their teeth, gum and mouth clean, they will enjoy a healthy smile for years to come. Cavity-Free Kids, keep up the good work and keep flashing those beautiful smiles!!!!! Until the end of August, come in the office for your hygiene appointment and enter your name at the end of the appointment for a chance to win a 1 hour Free In-Office Zoom Whitening! This treatment is valued at $599, so don't miss out this special promotion! We will do a draw for one winner at the end of July and August. Make sure to enter your name if you have always wanted a whiter and brighter smile! Once again, we here at Just Smiles would just like to say how grateful we are for all of our patients! if you have any questions, we are happy to help. Call us at 604-579-0117 or send us an email anytime at jsdentalclinic@gmail.com. April is National Oral Health Month! In this issue, we would like to emphasize the importance oral health and provide you a few easy-to-follow steps to maintain a healthy mouth! To celebrate National Oral Health Month, for a limited time only, new and existing patients can take advantage of $1200 savings on a full Invisalign case! This is a great opportunity to have the smile you have always wanted without traditional metal braces! Call today 604-579-0117 to schedule for yourcomplimentary consultation to see if Invisalign is right for you (Click here)! Invisalign offers a clear teeth straightening method without the hassel and pain of metal braces. It is great for adults and teens, plus relapsed orthodontist patients. You can look forward to getting the smile you have always wanted without anyone knowing you are straightening your teeth! For a limited time only, new and existing patients can save up to $1200 on a FULL Invisalign case! Ask us about your dental benefit for orthodontics! We can even work out an interest FREE payment plan. If you have been thinking of straightening your teeth, now is the time to book for a FREE consultation to see if Invisalign is right for you! Oral disease, like any other disease, needs to be treated. A chronic infection, including one in the mouth, is a serious problem that should not be ignored. Everything that happens in your mouth affects your whole body, which is why it is so important to visit your dentist regularly! Only your dentist has the training, skills and expertise to properly address all your oral health care needs. As part of a healthy lifestyle and to help reduce the risk of oral disease, we will give you a few easy-to-follow steps to good oral health! With Valentine's Day just around the corner, it is a great time to keep your teeth healthy and your smile beautiful. Is your breath keeping you from getting close with your better half? We have complied a few tips and some advices to help you breath stay fresh! Also, we would like to introduce a new Patient Referral Program! Your referral of a friend or family member is the greatest compliment we can receive. If you know someone looking for a dentist, please have them contact us to make an appointment (Click here) . We appreciate your confidence in our dental team, and as a special thank-you, both you and your referral will receive a gift :). The more friends you send our way, the better the reward is! Please contact us for more details about the referral program. For those of you with kids in school, March Break (March 14 - 25) is coming up soon. Now is a good time to book an appointment for the kids' hygiene and check up. We tend to fill up early, so book soon to avoid the rush! (Click here). Also be sure to ask about custom sport guards if your kids are participating in any contact sports. If we brush and floss before we go to bed, and settle down to sleep with a fresh mouth every night, then why is it that just mere hours later, we wake up with the dreaded "morning breath"? During the day, saliva works as our body's own natural mouthwash, washing away bacteria and food particles that can cause bad breath. Our saliva production decreases while we sleep, creating an environment for odour-causing bacteria. Bad breath ( or "halitosis", as it is officially known) can be a result of several sources, such as a dry mouth, decomposition of food particles around your teeth, and foods that contain certain sulphur compounds (such as garlic and cabbage). Halitosis can also be a reflection of your medical conditions, such as chronic infections in the lungs to kidney and liver failure. Dieting and fasting can also slow down the stimulation of saliva production, and result in bad breath. 1. Floss: Flossing removes food particles between the teeth and eliminating an element of "bad breath". 2. Brush your teeth after each meal: Brushing to keep your pearly whites clean and eliminate bad breath causing bacteria around your teeth and gum. 3. Scrub your tongue: Many new toothbrushes come with a tongue scrubbing side or ask for a tongue scraper when you come to the office for your cleaning. More than half of the bacteria that cause bad breath can be found on your tongue. 4. Avoid Tobacco: The buildup of tar and presence of nicotine is well known to be harmful to your oral and overall physical health, but they also dry out your mouth and cause bad breath. 5. Stay Hydrated: Keep your mouth moist by drinking lots of water. Water acts as a good buffer and flushes out food particles and bacteria that can cause bad breath. 6. Visit the dentist regularly: Aside from keeping your teeth in top shape, your dentist can look for signs of periodontal disease and other treatable causes of halitosis. 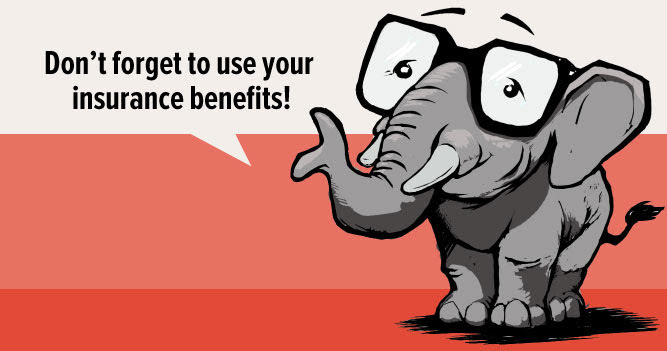 The end of the year is approaching, and so is the end of your 2015 dental benefits. For most patients, the dental insurance clock will strike on December 31st 2015, and this means your unused benefit will be lost! Because so many of our patients realize this at the last minute, December can sometimes be almost impossible to book into, when everyone is trying to get in before the end of the year. Beat the December Dental Rush! Book your dental appointments now (click here), and enjoy the Christmas meals in your perfect smile with family and friends! Note: At Just Smiles Dental, we want our team members to enjoy the holiday season with their families so the office will be closed from Dec 24~Jan 3 (open on Dec 28) during the holiday season. We want to let you know in advance, so you can arrange your appointments ahead of time. Thank you for your understanding! Attractive Pricing for an Attractive Smile! Halloween is here! For children this is a fun night to dress up and go trick-or-treating with their family and friends. Enjoy your Halloween candies with meals or shortly after mealtime. Saliva production increases during meals and helps cancel out acids produced by bacteria in your month and helps rinse away food particles. And of course, make sure you brush and floss after. At Just Smiles Dental we wish you and your families a Happy Halloween!! How fast summer passes and kids are back to school. Your child(ren) may have the new wardrobe, school supplies and sports equipment for the new school year. In this newsletter, we will provide some back-to-school tips for keeping your child's smile healthy! We will also announce our lucky winners who visited our Facebook Fan Page. At Just Smiles we wish everyone a smooth and rewarding school year ahead! Statistics from Canadian Dental Association say that tooth decay affects our children more than any other chronic infectious disease and 19 percent of children ages 2 to 19 years old have untreated tooth decay. Dental pain or disease can lead to difficulty in eating, speaking, playing and learning as well as millions of hours of missed school. Get your child off to a great start to the school year with a visit to the dentist! A dental examination is as important as immunizations and booster shots and should be a regular part of back-to-school preparations. Your child’s dentist will do a thorough exam, probably take x-rays, perform a thorough cleaning, and make recommendations on any needed treatment such as filling cavities, extraction of wisdom teeth, or extraction of baby teeth that are not falling out fast enough. Your dentist may also recommend preventive measures such as fluoride treatment or the placement of sealants. Your dentist can answer questions you may have and provide your child with instruction on how to best take care of his or her smile. Diet plays an important role in all parts of health and of course, everything you eat goes past your teeth. Some snacks like chewy fruit snacks and chips can get stuck in the pits of teeth and expose them to sugar for long periods of time. Besides, picking healthy snacks can help feed your child’s brain better too. If your child eats in the school cafeteria, review healthy, balanced food choices with him or her before the first day of school. Cut back on sugary foods and soft drinks. Check out cool new products that are easy to carry in backpacks and pockets, such as single-use flossers and mini toothbrushes! Yogurt - try drinkable yogurts or freeze the tube yogurt. Regular brushing with fluoride toothpaste and flossing. Head for the dental care isle when you're out shopping for notebooks, binders and pencils. A new toothbrush should be changed every three months. If it's hard to remember when to change a brush, you could try to change it every time report cards come out. Ask us for your complimentary toothbrush next time you come in for a cleaning. Talk with your dentist about the right mouthguard for your child’s sports. A properly fitted mouthguard can prevent serious and sometimes irreparable injury to the teeth, gums, and jaw. Your child should wear a mouthguard while participating in organized sports, PE classes or playground activities. For more dental health tips, log on to Canadian Dental Association and browse through the Oral Health Topics list. In the last issue, we invited you to visit Just Smiles Facebook Page, where we share the latest dental news, our specials and much more, and to "Like" it to enter the lucky draw. Congratulations to Rachel, Sanne, and Reagan! We hope you enjoy the gifts. Once again, we here at Just Smiles would just like to say how grateful we are for all of our patient family! if you have any other questions, we are happy to help. Call us at 604-579-0117 or send us an email anytime at jsdentalclinic@gmail.com. We are happy to announce that Just Smiles turns 5 years old! We have enjoyed serving our patients and are so appreciative of all the wonderful relationships we have established. We thank all of you for the support and trust, as we continue to grow and serve this community. Over the same past 5 years, there have been many changes and advancements in dentistry. At Just Smiles, we thrive to utilize the latest technologies to make dentistry more comfortable, durable, efficient and natural-looking for our patients. And our efforts are recognized and awarded by OpenCare, who recently selects Just Smiles as 2015 Top 10 Dental Clinic in Surrey, based on metrics such as patient care, comfort and satisfaction. We are excited to have Dr. Joyce Chan and Nav joining Just Smiles! Dr. Joyce Chan was born in Hong Kong and immigrated to Canada with her family in 1991. After graduation from UBC with Dean's Honour List in her Bachelor's degree in Microbiology and Immunology, Dr. Chan decided to continue her education at UBC by pursuing a degree in the Doctor of Dental Medicine. A firm believer in giving back, Dr. Chan has a long history of volunteer work with the senior community. Her fun sense of humour yet gentle personality put patients of all ages at ease. In her free time, Dr. Chan enjoys spending quality time with friends and family. An avid reader, her two favourite genres are historical fiction and medical non-fiction. Her playful pug, Sophie, keeps her entertained for hours at a time. Nav is a registered dental hygienist, and she has been in the field of dentistry for over 15 years. She graduated with a diploma from the Dental Hygiene Program in 2005. Prior to becoming a hygienist, she practiced as a Certified Dental Assistant. Nav enjoys working with the team at Just Smiles Dental and works hard to provide the best oral hygiene care to her patients. She loves interacting and building a rapport with her patients and takes pride in making their experience at the dental office a good one. Outside of dentistry, Nav is a proud mother to 2 beautiful children, Summer & Cyrus. She and her husband enjoy travelling and cheering on the Edmonton Oilers as a family. Do you have a Facebook account? If you do, we would like to invite you to visit Just Smiles Facebook Fan Page, where we share the latest dental news, our specials and much more. And "Like" it to enter the lucky draw. Top prizes include the newest Philips Sonicare Diamond Clean Electric Toothbrushes (Retail $299.99) and Oral-B Professional 5000 Series (with bluetooth connectivity) Electronic Toothbrushes (Retail $189.99). Winners will be announced in our next newsletter. Summer is here! June 21st is the first day of summer as well as the summer solstice, AND Father's Day! How is that for one day! It will be the longest sun lit day this year and we hope you make the most of it. If they are, be sure to remind them that a break from their regular schedule does not mean a break from good oral hygiene. If they are heading off to camp or traveling over the upcoming weeks, make sure their next cleaning and check up is scheduled (Request Appointment). That way we can ensure that they start the summer off with a healthy smile. If you are interested in improving your smile for inevitable photo opportunities during patio season, give us a call or request an appointment here. Now is a great time to discuss the smile of your dreams. For a limited time, at $299 (reg. $699), you can experience our brand new 2015 Philips Zoom! system, while watching your favourite TV shows. Plus, you get a custom take-home whitening kit, and receive maintenance whitening gel when you come back for a cleaning. In this newsletter, we put together some questions that are often asked by our patients. Hope they will help. Have a great summer and Happy Father's Day to those Dads in our dental family! Q: A little bleeding of the gums after brushing or flossing is normal. Fact or Fiction? Fiction! Bleeding gums are never normal. If your gums bleed when you brush, it could be a sign of gingivitis, the early stage of gum disease. It also could be something simple like brushing or flossing too hard. If your gums bleed regularly or enough to worry you, make an appointment to see us. Q: Aspirin placed next to a tooth is a good way to relieve a toothache. Fact or Fiction? Fiction! Placing an aspirin directly on your gum causes an ulceration of the tissue, commonly referred to as an aspirin burn. Aspirin can be effective as a pain reliever when you take it as directed, however you are not supposed to put it next to a tooth. The best cure to a toothache is a trip to your dentist to find out what's causing the pain. Q: Discoloured teeth can be just as healthy as pearly whites. Fact or Fiction? Somewhat Fact... Discoloured teeth are not necessarily unhealthy, but they can be. Discolouration can indicate a cavity, but can also be caused by eating or drinking certain foods/beverages (coffee, tea, red wine), smoking, aging, genetics, injury or certain medications. Whitening options can include over the counter or in-office treatments. There is one intrinsic stain that doesn't come off, called tetracycline stain. When you were either still nursing or an infant, as the teeth are developing, if you have tetracycline in your blood stream, it will permanently stain the teeth in greenish-pink. It doesn't happen as much anymore as the physicians are now more aware of this issue. Q: Whitening toothpaste can bleach my teeth. Fact or Fiction? Somewhat Fiction... All toothpastes help remove surface stains, because they contain mild abrasives. Some whitening toothpastes contain gentle polishing or chemical agents that provide additional stain removal effectiveness. Most whitening toothpastes can help remove surface stains only and do not contain bleach. Over-the-counter and professional whitening products contain carbamide peroxide or hydrogen peroxide that helps lighten the colour deep in the tooth. Whitening toothpastes can lighten the tooth's colour by about one shade. In contrast, light-activated whitening procedure in the dentist's office can make your teeth at least three and up to eight shades lighter. Q: Pregnant women should pay extra attention to their dental health. Fact or Fiction? Fact! Pregnant women should pay extra attention to their dental health, because all the changing hormone levels that occur with pregnancy can actually make some dental problems worse. So if you are pregnant or planning on becoming pregnant, schedule a visit with your dentist. Q: Baby teeth don't need to be brushed because they fall out in a few years. Fact or Fiction? Fiction! Baby teeth need proper care just as much as adult teeth. It's important now and it's important later. That's because baby teeth can help your child chew and speak, and they also hold space in the jaw for permanent teeth that are growing in under the gums. You may notice there is a common theme here. Brush, floss and see your dentist :). Floss at least once a day, and don't wait until right before you come to us, because first of all, we can tell :), and secondly, your gum will be healthier, which is why you are doing it in the first place, right? As always, if you have any other questions, we are happy to help. Call us at 604-579-0117 or send us an email anytime at jsdentalclinic@gmail.com. Again, have a great summer and Happy Father's Day to our patients, friends and family from all of us at Just Smiles Dental! Smile :), it's Mother's Day! It is said that a mother's work is never done, and that once a person becomes a parent, it is a labour of love that lasts a lifetime. The same thing could be said about your smile. Your smile should be there for you - strong, healthy, and lasting a lifetime. In this newsletter, we have tips on how to help moms to keep their smiles healthy for life through the various stages of parenting, as well as some gift ideas to help promote good dental and overall health. Pregnant women are at increased risk for periodontal disease because the increased levels of progesterone that come with pregnancy cause an exaggerated response to plaque bacteria. As a result, pregnant women are more likely to develop gingivitis even if they follow a consistent oral health care routine. Rinse your mouth out with water or an alcohol-free mouth rinse if you suffer from morning sickness and have bouts of frequent vomiting. Gift Ideas: Help Mom to get some restful sleep with a sleep mask, Also remember to give the priceless gift of peace and quiet to help mom relax and sleep well! 1. Drink lots of water. Keep a full pitcher of purified water in the fridge and water bottles in the car for easy access at home and on the go. 2. Keep a set of toothbrushes and toothpaste by the kitchen sink or at work. Get in the habit of brushing teeth after meals right in the kitchen to make it more convenient. 3. Keep travel toothbrushes and floss on hand. Pack a set of travel toothbrushes and floss in your purse or in the car so that you can brush and floss on the go when time is tight. 4. Make smart snack choices. Keep healthy snacks ready to eat in the fridge such as washed and sliced fruit and vegetables and cubed cheese. 5. Drink sugary beverages with a straw. When you do drink soda, use a straw so that the sugar does not have as much contact with the teeth. Wash your mouth out with water afterward. 6. Chew gum. Sugar free gum with the sugar substitute Xylitol kills bacteria in the mouth following meals. It also pulls food particles off of the teeth and promotes saliva flow to help neutralize acids. 7. Educate your children. The more that kids know about making smart eating choices and practicing good health hygiene, the better they will feel, encouraging them to maintain healthy lifestyles. It can be fun and healthy to set aside family routine for teeth brushing and flossing. Oral-B and Disney, as well as the Partnership for Healthy Mouths & Healthy Lives, have an app for timing those two minutes of brushing and making oral hygiene fun. We strongly encourage even the busiest of moms to take time for themselves and schedule regular health and dental checkups. Gift Ideas: An electric toothbrush or a travel cosmetic case filled with dental health goodies like a travel toothbrush, floss picks and toothpaste. Alone time can be hard to come by for mothers. A bluetooth shower speaker may help mom take some time for herself. 1. Dry mouth. It is due to reduced saliva flow, and can be a result of cancer treatment or as side effects of many medication. Ask your dentist for products that can help relieve dry mouth. 2. Root decay. It is common for gum tissue to recede from the teeth with age, and the roots of your teeth become exposed. As they do not have enamel to protect them, roots of your teeth become more prone to decay. 3. Gum disease. It is caused by plaque build-up and made worsen by diabetes, poor-fitting bridges and dentures. When left untreated, gum disease can cause mobility of teeth, and eventually loss of teeth. 4. Denture-induced stomatitis. Poor dental hygiene, ill-fitting dentures, or a buildup of the fungus can cause this condition, which is inflammation of the tissue underlying a denture. To maintain good oral health, it is important to brush at least twice a day with a fluoride-containing toothpaste, floss at least once a day and visit your dentist on a regular schedule for cleaning and an oral exam. During your routine exam, your dentist will check for: your face for sores, moles, skin discolouration, your bite, your jaw, your lymph nodes and salivary glands for any sign of swelling or lumps, your cheeks for ulcers, other soft tissue areas for signs of infection or oral cancer and your teeth for decay, fracture and condition of past restorations. Gift Ideas: Power up mom or grandmother's brushing routine with an electric toothbrush, which can remove more plaque than conventional brushes, and is still gentle on dental work. If you're thinking of getting your tech-savvy mom or grandma a tablet or smartphone, here are the top health apps for seniors. As always, if you have any questions, we are happy to help. Call us at 604-579-0117 or send us an email anytime at jsdentalclinic@gmail.com. Again, Happy Mother's Day to our patients, friends and family from all of us at Just Smiles Dental! Hope you had a wonderful Easter holiday! We would like to welcome you to our monthly newsletter! Here you will find educational information, useful tips on oral healthcare, and the latest promotions at our office. In this first issue we would like to introduce our new personalized appointment reminder, intended for you to conveniently confirm and keep track of your appointments, as well as our "White for Life" whitening special! For even more convenience, you can insert the appointment information into your electronic calendar from the message with just one-click. We have also partnered with Google Now, which enables you to check real-time traffic and weather conditions around the time of your appointment. A lot of our patients have been asking, and we hear you! We are excited to add Zoom! to our long list of dental services. Zoom! got its name from its speed. It’s considered one of the fastest teeth whitening systems, and can fit easily into your busy schedules. Zoom! can whiten your teeth up to eight shades in just an hour. Now at $299 (reg. $699), you can experience our brand new 2015 Philips Zoom!system, while watching your favourite TV shows. Plus, you get a custom take-home whitening kit, and receive maintenance whitening gel everytime you come back for a cleaning. Call us today and arrange an appointment, for a brighter, whiter smile!